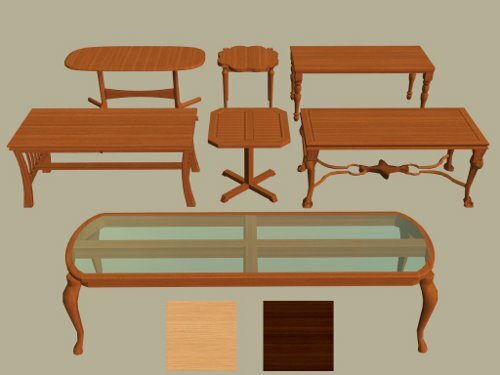 'Apartment Life' wood recolours of 7 'Base Game' dining tables. Discourse Dining Table - Exploding Dragon Dining Table - Flatwould Dining Table By Iseeya - Luxiary "Ample King" Dining Table - Manor House Paree Dining Table - Pinegulter Outdoor Mini Table - The Talking Table. I've learnt a little since I first did the desk recolours, so I thought it was time to update them to match my other AL wood recolours. All files have the same names as the originals, however, I suggest removing the older version before installing the updated version. Objects used in my screenshots can be found HERE or HERE. Artwork by armiel not available. All files have been compressed and tested in game. Ah, just what I expected! Fantastic, dear! Thank you ever so much, Shell!